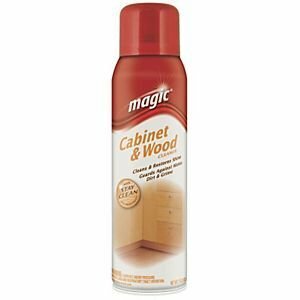 17 Oz Cabinet And Wood Cleaner, Size 17 oz, Type Aerosol. 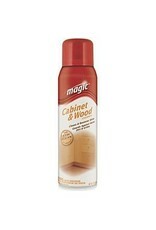 Restores original beauty and gloss to all cabinets and wood surfaces. Hides scratches. Water protection formula helps guard against water marks, dirt, and grime. Wood surfaces stay cleaner and shine longer. Makes routine cleaning even easier.